Michaela: Welcome back to the show. Today I'm talking with Elishia Dvorak. And we're going to talk about the API manager that came out in ColdFusion 2016 and its being updated for ColdFusion 2018. And if you haven't come across that, we'll look at what is and why you'd want to use it? What the business case for is? And very excitingly, it's actually attracting new people who aren't even ColdFusion developers currently to use cold fusion because of it. So welcome Elishia. Elishia: Thank you and hello everyone. Michaela: And if you don't know, she is the Technical Marketing Manager for Adobe ColdFusion. and also there e-learning products. And she actually started out as a ColdFusion developer quite a few years ago. Elishia: That's right and thanks for the introduction. I did start out years and years ago as a ColdFusion developer for a short stint but I did spend quite a lot of time and most of my years in my career doing support and account management for the larger architectures, so that's where most of my experience is and really architecting solutions and troubleshooting a problem. Michaela: Fabulous, so the API Manager came out a few years ago with is ColdFusion 2016, what exactly it is the API Manager because not everyone may have used it? Elishia: Right and that's a great question. So basically API Management encompasses everything that you need to do to basically manage APIs in your organization. And it's different from some of the other buzzwords out there like API Gateways for example which you know some of the cloud providers you offer. It the gateway is more of a transactional based system that actually handles requests back and forth from your client to your API, however what about all of the other thing that encompass API Management? Things like broader links for example, and SOA. Authorization and security. Analytics you know, identifying the metrics as a result of those API and reporting on that. So this API Manager actually encompasses and manages all of the aspects that I just talked about along with things like versioning. You know, all of you that have the grade API before, know that it's very difficult to put it API in play and once it's in play and its production ready, you have subscribers that are using that API. How do you manage the next version that you update that API with? So things like that are taking care of through automatic versioning, lifecycle management and notifications that are built into the system. So all of that encompasses API Management it's a big space but we have built this API Manager from the ground up, so it's become quite a great tool to be able to globally manage your API initiatives internally. Michaela: So, this is if you have an API and you're publishing either internally within your organization or publicly and you need to have extra level of control and understanding of how it's working? Elishia: That's correct. So that's not the only scenario that we're seeing though. So many of our users are actually deploying Internal API or externally exposed API of their own. However the other side of that is actually pulling in exposing eternal APIs that your organization is consuming too. And making those available to different departments within your organization that require access to that. So, you're really taking advantage of the fact that even though it's not your API, you can manage all of the aspects around that API and is used internally within your organization within this tool as well. So, there are a couple different scenarios that we're seeing out there. Michaela: That sounds great. So why would someone want to use this instead of just releasing their API into the wild? Elishia: Sure that's a great question and I think that there's something that I've been talking about quite a lot as far as recently when I was traveling and going through all these different location talking about the API Manager and I think I can say it as this, when you, let's say most of your organizations have multiple development teams right and this is what we're finding at. I would say a large number of our accounts, where there might be one or more ColdFusion teams, which are you know teams of five or six or maybe more. So, you know they're smaller groups within the organization. They also might have a .net team within that organization that's working on a whole another set of projects internally or maybe the .com site or something else within the organization. So imagine the sheer magnitude of managing from a global sense, all of the security, the authentication that you're going to be building in, all of the analytics that need to be built in as well as the versioning that I just talked about. Imagine how much disparity that you'd have within each of those groups that have their own proprietary solution for management of all these different aspects of their own API. So, doing that at the global level and standardizing on that with an API Management solution is really where you want to be at in order to be able to remove a lot of that work and effort involved in management of the different teams and their own way of doing things par ce. So really if you extract all of the problems of implementation of all of the aspects that I just talked about like, building in your own SLAs, building in your own probably mechanism. Building in your own [inaudible] [06:28] or API key mechanisms for your APIs, all of those are abstracted as a part of this is API solution now. And so you can manage that at a global level within your organization instead of having a bunch of different proprietary solutions that everybody's working on independently. Michaela: Now, I think I understood what an SLA is that's a Service Level Agreement saying how much the API is up. You mentioned of [inaudible] [06:53] what is that for people who haven't come across it. Elishia: We do support [inaudible] [06:56] too as an authorization mechanism. As well as basic authentication and API key, all of those are all built into the API Management solution as resources for you to use for authorization of your API who can access them. Michaela: Got it. So, what's the business value of using the API Manager? If you're trying to convince your boss that yes, they should you know use this, what would you say? Elishia: So there's a few different ones. Number one I would say which is just pointing back to what I just discussed. If you talk about the effort involved and we all know that developers don't come cheap right? And they're going to build their own solution for this or you're going to buy a solution that's just how it is. Either builds it or you buy it. And if you buy it, like I said, you're getting the value of being able to globally manage these across different teams rather than having those teams work on their own or try to come up with a solution together. So there's one that gives you back your dollars as far as the hour of involved in the development. Number two that I would say, is definitely going to be security. And as everybody knows what's happening right now and what we're seeing and why we're focused and emphasized in the API space? Is that the development trend moving forward right now is that API especially rough state APIs are being used as a mechanism for transferring data between all applications. Whether it's you know proliferation of the Internet a thing or its internal applications for internal application, we need some kind of standard for which they're going to be able to talk to each other right. Rough state APIs are that mechanism. And as those rough state APIs grow internally in an organization you have to start thinking about security. In terms of security, if your team going to be making the effort to become security industry expert. Are you going to take that on yourself and all of that effort involved in that or you going to offload that into an API Management platform such as the Adobe, where we have an entire team that dedicated to making sure that we are building a security into our product? So basically what you are doing is basically offloading that part of being a security expert into Adobe. Adobe provides the functionality to make sure that we are securing your APIs from the management level, from the gateway that we provided as part of the solution and we're giving you how big is and security fixes along the way. So we have entire resources dedicated to this entire team that Adobe that provided the value and we're giving that back to you through the product. Elishia: And the last thing that I would mention. 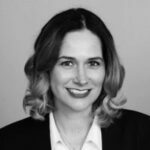 Elishia: Yes, the third reason which I think I just brought up and then I just thought of that I have already said that is the fact that for the price point of this solution, a license is going to be a lot less expensive for you at $8400 price to implement this as a solution in your organization. Then it would be to not only build it but also buy any other solutions that are out there, so the price point is very good. Michaela: That is good to know. I mean, I was going to ask you what this cost but basically it comes with ColdFusion enterprise as I understand it. Is that right? Elishia: Yes. It does come with Enterprise Edition, so if you have Enterprise Edition licenses for ColdFusion 2016, you will have API Manager Keys provided to you as a result of that. Michaela: Fabulous. So you've decided you need this API Manager and how I'd explain it someone listening is, you know building an API is sort of like building a car but if you just have the API and you didn't have an API Manager would be sort of like you didn't have locks on the doors. You didn't install a steering wheel or any of the speedometer and other dials in there. Yes you could drive somewhere in that comedy might be a bit dangerous you really wouldn't be in control of what was happening. Elishia: That's a great analogy I think too. It kind of just gives somebody a scenario that they can compare to, sure. Michaela: So, is API Manager really a separate product from ColdFusion. Does it have a separate install or how does it work? Elishia: Yes and I'm glad you asked that because I think this is a misconception of been that we are shipping it with ColdFusion. You can think of API Manager as a separate product altogether it is a separate product and has its own installer. It was built from the ground up this is an entirely new application that we developed internally here. It has nothing to do with ColdFusion other than the fact that we built an integration capability to allow you to deploy API very quickly that are built in ColdFusion already. So when you first install the product like I said it installed separately out of the process of ColdFusion. You would install it on its own VM and it does not have any integration up on the end of the install with ColdFusion at all. You have to set that up yourself. Michaela: Okay, so if someone wanted to have APIs in Java or .net or any other language they could use this to manage them? Elishia: Absolutely. So basically the API Manager that we have supports both [unclear] [13:18] and [unclear] [13:19] services. So any [unclear] [13:22] or [unclear] [13:24] web service which is created using any language such as Java like you or .net, PHP any language at all including ColdFusion can be imported into this API Manager. Michaela: Well that's really powerful so I know this ColdFusion 2018 release coming up will be a 2018 release of API Manager as well? Elishia: Yes absolutely. So the difference here though is that we're getting off of the standardized GA schedule which means that we are going to release with ether and either will include a number of each of the functionalities with that however the update for API Manager because it is a separate product, will actually take place post GA release for either. So you can expect a major update to API Manager, which will actually focus on things like security. I believe we're going to be adding some more mechanisms to remove the portal out for developers and a couple of extra things as well, so that will be a major update to API Manager that you can expect, I believe at the end of this year. Michaela: Fabulous. That sounds like it's going to become even more powerful. Is Adobe marketing API Manager to none ColdFusion shops or how are people adopting it? Elishia: Yes absolutely, so right out of the gate in 2016, the marketing strategy had been about making the existing customers aware of the fact that it was available. Now as you know, many of our ColdFusion customers are just basically getting over the first year, they're just getting into that new version. So a lot of the discussions that I was having last year happen to be around the fact that they were interested in API and they had an API initiative within their organization but they weren't yet fully into ColdFusion 2016 or if they had just done the process of the upgrade. So once they do that, now at this point I would say we're getting a lot more queries from ColdFusion customers that are very interested in trying to utilize this within their organization and we have a number of customers that are already deployed in production without really heavy load actually in this API Management space. However after the initial marketing strategy around raising awareness within our existing customer base, now we're actually branching out we're beginning of branch out into the other development spaces to try to make them aware and I would say our strategy now is just making sure that of course we keep focusing on our existing customers to bring awareness there because there's a lot of customers that you know they do tend to skip versions and things like that and so they might just be getting into 2016 now but also create a new branch of that strategy that includes raising awareness not only in developer communities outside of ColdFusion but even just within our ColdFusion customers but out into the other development groups. So we're trying to reach out to these other development teams within our own account and actually just make them aware that this is a product that is available to them too. Michaela: Well and for anyone listening and hasn't upgraded to 2016, you know I was talking with Charlie Egan yesterday on Podcast and he just wrote a form post saying, “You know 2016 works great and any rumors that you know you shouldn't upgrade to it are false from over hundreds of people he's worked with on 2016.” So you know if you've been holding back from you know I know some people hold back from upgrading you know until like the first hot fix has come out. Those will come out now. It's good to operate to it so. 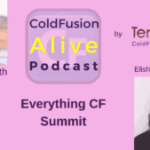 Elishia: Yes, we've had a number of very heavy updates to ColdFusion 2016 already but also to the upgrade process is actually really seamless but bigger reason why people should be getting into 2016 right away is the performance increases. So a lot of people are already saying that they have noticeable performance gains from just going into 2016 and taking advantage of the performance enhancements that we made. Michaela: That is good to hear. People always love to have their code run faster. So anything else on the API Manager you want to share with folks before we go to some other the questions about CF Summit and ColdFusion? Elishia: I think I just want to say that if you do have some interest and your team wants to get to know the API Manager better. We'll have my contact information listed after this. Feel free to reach out to me and we will definitely set up a demonstration for your team. In addition to that, we are having API road show coming up to your in one of those areas that will have a road show just keep an eye on our blog and you can meet us in person I'm really doing a demonstration in person for you. Michaela: Well that's great. And I'll link to Charlie's post that he wrote about why 2016 is good to upgrade. I'm also going to link in, I did an episode a few months ago with Brian Zappy where he really went deep into the, you know what's the technical side of the API Manager. I think he spoke at the CF Summit West last year on this topic. Elishia: Right. And then one the account that actually has a quite a heavy load on that API Manager that they haven't play in production. Michaela: Yes. So, let's turn to CF Summit East that's happening in Washington DC in April just in a month a month and a half now. Tell us what you're excite, you've been to that event set for many years now, what are you excited about for this year? Elishia: Yes thanks for reminding me how close it is actually. You know I have this envision in my mind, vision in my mind that it's at least two to three months out and it's not. So, the summit East is actually morphed into something much bigger than we initially expected and it feels kind of like when we first did the original summit, the CF Summit in Vegas because we didn't think it was going to be as big as what it's becoming. Now we started this three years ago and I think we had about sixty people that doubled as of last year and we're expecting even a lot more this year. So it's grown to be kind of the place to be on the East Coast if you will in the springtime for ColdFusion developers and I am super excited about it. Not only because we have the Easter release because a lot of the content will be around familiarizing everyone with what our go forward strategy is for the product. But you'll begin to see that ColdFusion is becoming such an exciting I would say tool set to work with now. And this is because our strategy has been built around what are the development trends that we're seeing and I think now it's standing out for us in the sense that we're going to have a tool set for our developers and other developers that are not you know developing in ColdFusion to utilize and take advantage of and realize business value. So I think I'm really excited because I think they are all of our users that that event are definitely going to get to see real live in person some of these demonstration that we have about the new features and functionality that are coming out but they're also get a wealth of knowledge around some of the existing technologies in the 2016 space that they might have missed already and also the latest in of course security and think they're really important to them. Michaela: Well that's great and I actually interviewed, [inaudible] [22:12] if I'm saying his name right. All about CF Summit East. All the speakers and the details but I do want to point out to people listening it's a free event. And it's happening in Washington DC and I want to say its April 24th is it? I have gotten the date wrong. Michaela: 25th? There you go. Elishia: It's on the 25th. So it'll be a full day event. I believe we have, I want to say ten sessions plus the general sessions. So, we'll have a general session and then we'll have ten breakout sessions with a long two tracks outside of that. So it's going to be a full day of learning like you said it's a great event because it's free, so you just have to you know make it into DC. But we also provide breakfast and lunch and you know it's a great networking event too because there's going to be a lot of people there this year. Michaela: Well that's amazing a fancy DC hotel and food and lots of amazing ColdFusion information and no cost so all you have to do is get yourself to Washington DC which in April is actually quite a pleasant place to be. Elishia: [Laughing] the snow right now but April is a great time, the weather is perfect. It was last year I remember it was perfect, so we really encouraged you guys to get down. It's a great like I said value because we're not, this is all coming out of [inaudible] [23:49] stores marketing budget so. Elishia: [Laughing] we have to keep increasing. Michaela: Yes and just to clarify for people in previous years it was branded as a ColdFusion Government Summit but that's not the case this year it's both the government and nongovernment attendees. Is that right? Elishia: That's right, you know initially the reason why we started the event is because there were a lot of government resources that had given us some feedback that they were basically unable to attend events in Vegas because Las Vegas is a blacklisted you know event space or conference meetings space for them. So what we wanted to do initially was provide something to our government customers that they can go through or go to for free because as you know the procurement process and approval process for government is actually quite lazy so we wanted to just give it back to them as a way of our appreciation for them they you know continue to be our valued customers. So what happened is that there are so many developers outside of the government space and in the commercial space in that area to but we didn't want to discourage anybody from being able to attend. So we did open that up for everybody to attend and it's just, it's a smaller conference right now but we wanted to provided it as an alternative option to those are the resources that can get into Las Vegas for a conference. Michaela: Well that's great that you are doing that and it's great that you're spending all that marketing budget because I know hotels in Washington DC are not cheap to hold events in. So, I think that really shows how much commitment Adobe has to marketing ColdFusion and expanding the learning in it as well. Elishia: Thank you yes, I think so I think the marketing team has done a great job to show that he definitely listens to the feedback that is provided and we've you know tackled a lot of things along the way. We've come up empty in a few obviously but the DC Summit or the East Summit that has turned out to be has been one of the most successful things that we've done. Michaela: Fabulous and then I heard a rumor that the CF Summit West in Last Vegas registration is all ready open. Can you tell us more about that? Elishia: That's right actually we just opened it a few days back and so registration is now open for the ColdFusion Summit 2018, in Las Vegas. It will be held October 1st through 3rd and it is going to be at the Hard Rock Hotel and Casino. So you can go ahead and register there for the CF Summit at adobeevent.com and hopefully you can put that link on the end of this Podcast. But the registration actually right now is open for I think three more weeks at $99, so even if you don't have approval yet it might be a great time for you to go ahead and register at that ridiculous rate and get yourself in there so that you can come to the conference and meet us. Michaela: That is an amazing price and how many days is the CF Summit West, it's? Elishia: It's going to be three days with the first day being a preconference. The preconference is held on October 1st and it will be a full day of preconference labs is what we usually do which are the walk through, then making sure that you get some hands on with the technology that the topics are on. And then day one and two which are October 2nd and 3rd will be the ColdFusion Summit where we'll have the general session and keynotes as well as the full conference and the evening event as well. Michaela: Great well you couldn't buy lunch and dinner for three days for 99 bucks, so I'm just suggesting. Elishia: That's right, so once again. Elishia: [Unclear] [28:15] use the credit card budget, so that we can provide our developers an opportunity to come in, sit with us in Vegas, get their networking and their learning in and we don't want cost to be a major factor of this. But if you look around this is probably the least expensive conference that you'll go to right and the reason why is because this is the marketing team give back to our community and you know we really just want to encourage everybody to come and spend some time with our teams. Our engineers are going to be there again and just talk with us, give us feedback and do some learning while you're there. And the Hard Rock Hotel and Casino. I do want to point out that this isn't a place that was actually on our list a couple years ago. I was on the original committee where we did the site visit and Hard Rock wasn't an option for us but they've actually since then revamped the entire casino floor; they've also revamped all of the guest rooms. So this is a different environment than I saw even three years ago and the pool scenario especially on October 1st through 3rd, I think going to be great weather so I'm actually looking to probably a contract with one of the pool to have a pool party too for the evening event because they have some really great outdoor space there as well. So I think this is going to be a great event, it's going to be one of the best events we've ever done. Michaela: That sounds really exciting. So two great events, East Coast West Coast. Do you know if you are speaking at the West Coast one as well as the East Coast one or is that still a mystery at this point? Elishia: No, I will be speaking and the content has not been determined yet but that's a great point to make actually. I do want to point out that we have cooperate speakers open right now on that website. So we are looking for new speakers, we are looking for new technologies and technologies really that I think would be if you think about what topics you want to submit, think about what the general audience at CF Summit would be wanting to hear about. So if there's a certain problem that you have a solution for and there's a certain case study that you want to present and walk everybody through how to do, if those are great topic. As well as any new technologies in the development space that are really gaining in popularity among the ColdFusion development community. Michaela: Fabulous, so yes I encourage people who are listening you don't have to be like one of those veteran ColdFusion speakers, sometimes it's really nice to hear from people who have real experience at their organization and can share it. So and you know I also just encourage all women CFs listening you know we need more women speakers too in my opinion. Elishia: Absolutely and my opinion as well and we are looking for women to come and submit topic. You'll notice that we did have a couple of new people that spoke last year that were women. We would love for your input, we want to make this diverse set of speakers and you're right we're not looking for just veterans speakers here although you know those topics do you really well and we know that there are some very strong speakers in our community, we love to hear new topics, new speakers and especially a diverse set of speakers too. Michaela: And is it just regular sessions you have or there are workshops or chalkboard sessions or, help us understand the format of the CF Summit West? Elishia: So the last will be on day one and that will be the hands on workshops. However at times we do, depending on the topic, we do put in a one or two hour hands on workshop within the ColdFusion Summit schedule as well. So if you do have an interest in things specific topics during CF Summit that are one or two hour hands on lab type of scenarios, please feel free to contact me and let me know what topic those might be. Getting into the lab space during a one or two hour session is a bit more difficult simply because depending on the requirements for the installation and set up, we could end up spending a lot of time you know on that portion and less time on learning. So it's a bit difficult for us but if there's some topic that everybody wants to see on a lab, you just going to do a walk through rush or show me this or are let me do a hand on for. Then just let me know about that topic that you want to see and I'll do my best to try to fix something like that in the CF Summit regular schedule. Michaela: Fabulous. So let's just switch topics slightly and talk about ColdFusion itself for a few moments. Why are you so proud to be involved with ColdFusion because you've been involved with it for a long time now? Elishia: I know, I think that to me as much as I think the perception is, the product itself has more than just so many different things and I was kind of talking about this with one of the community members recently where I was kind of trying and describe especially in the last couple of years what our product team has done with this is basically create a suite of development tools. So if you think about ColdFusion, you're really missing the point when you're thinking about it as a development language only. It's a platform of development tools at this point I would say. And you know who knows what it'll end up becoming as far as you know marketing and naming goes. But you know if you look at the product that we've built basically ColdFusion is there but several product application server the language is there but development tools that within ColdFusion builder is there. You also have API Manager that's there, that's a separate product. And now with [inaudible] [34:59] we also have an application performance monitoring tool set. So all of those are different and that's a new product in itself too, that's built from the ground up, separate installation and scale ability and all that built in just like we did with API Manager. So when you look at that and you just take a step back you'll see that ColdFusion is a technology toolset and it now has all of these different I would say applications that are part of that toolset to enable developers in the modern day to do their work and do it quickly, vastly, reliably, securely and really do it and dependably really. So I think that for me, it's an exciting space to be ending because I'm always really behind in trying to catch up with all of the new technologies I mean when we come up with the release, it's like drinking from the fire hose of all these different aspects of the technologies that we've input into the product and then I have to figure out exactly how you know how my going to become this expert at that product. So for me I like change quite a bit and I can't deal with something that is just stays the same every year and so I think that's what Ben entitled to me about being part of ColdFusion and part of its platform change. Michaela: Well, I think its 20 years since the first developer conference for ColdFusion, so it's being going for a really long time in Internet years. Elishia: Right and I think that says a lot for the longevity of the product and I think that's something I speak to quite a bit in private forums when I'm in these meetings that we go to on site, it's just the sheer numbers of different types of solutions and I think that everybody that I speak to is extremely surprised as to the wide use of the platform that they didn't know about and even I'm surprised on a regular basis about it myself. Michaela: Right, to me, I was just talking to Brad Wood from Otis solutions and he was telling me all about command box which lets you use ColdFusion as a scripting language so you can control your servers or other process you know all in ColdFusion instead of having to write in bash, or pearl or some other wacky scripting language that's even older than ColdFusion. So, it's amazing what you can get up to these days. Michaela: So, I have a final question for you before we get to how people can contact you, which is what would it take to make ColdFusion even more alive this year? Elishia: I'm going to go with community engagement and I'm speaking to all of our developers out there you know we built the community portal, I think that our team is very accessible team when it comes to engineering resources and just being available. So I would encourage you all to not only take advantage of that fact and get in touch with us and let us know your thought. But also be a part of the community through our portal and really elevate yourself in the community as a resource for new developers to come in after questions. Be kind to each other obviously and just help the Adobe team in making sure that we're all engaging with each other and hold us accountable too you know. If we're not engaging you in the right way or the way that you need to be engaged with, then let us know and we'll try to fix our processes and we're all interested in making this a better platform but we would love to get more help from the community in the way of blogs and techno articles on the community portal and I felt a wave like I said to elevate yourself as an expert in the community which you guys all are. I think many times our developers are very humble when it comes to the technology and the things that they've built and they are reluctant to share that information. So, I would say you know go outside of your comfort zone and share the solutions that you have and we'll all be better for it too. So that's one thing I would say to make the product better this year at least more alive. Michaela: Yes, I definitely encourage everyone listening to do some small act of engagement even if it was just getting into that community portal and liking someone else’s article, at least that's doing something and preferably commenting or starting posting stuff yourself so. Michaela: So, if people want to find you online, what are the best ways to do that? Elishia: The best way is to send me an e-mail I would say is elishia@adobe.com and the other way is, I'm on Twitter so, elishiadvorak is my Twitter handle. It's elishiadvorak, see if you can contact me there. And I believe you have some of the other contacts as well which is just the URL for our website, the ColdFusion community site, and the portal. But I think email is the most appropriate way to get in touch with me right now. Michaela: Fabulous, well we'll put all those links in the show notes on the terry tech site. So people can find you easily and really appreciate you coming on the show today. Elishia: Thank you so much, it has been a great conversation. I hope everybody is excited about the CF Summit and the product in general.